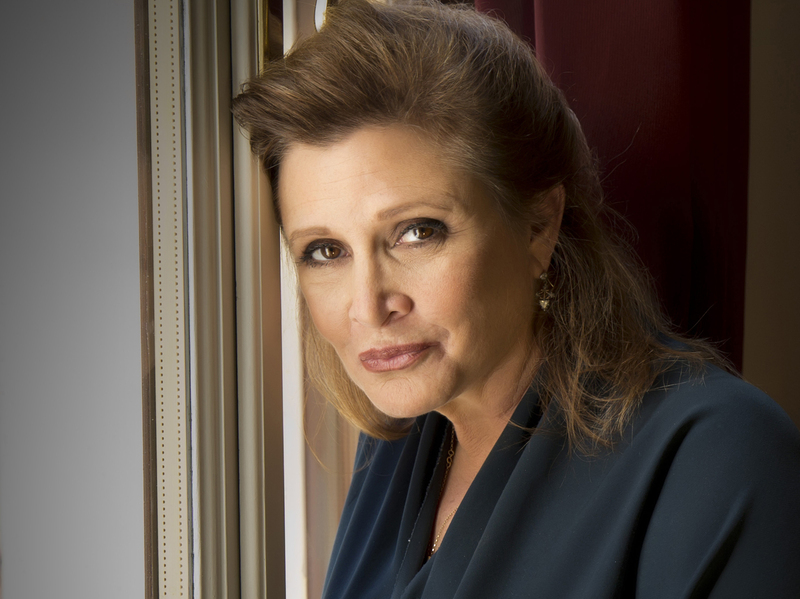 Carrie Fisher Opens Up About 'Star Wars,' The Gold Bikini And Her On-Set Affair In her new memoir, The Princess Diarist, Fisher looks back on playing Princess Leia when she was 19 and reflects on her romantic involvement with her older, married co-star, Harrison Ford. Carrie Fisher appears as Princess Leia in the first Star Wars film. "I like Princess Leia," Fisher tells Fresh Air. "I like how she handles things; I like how she treats people." 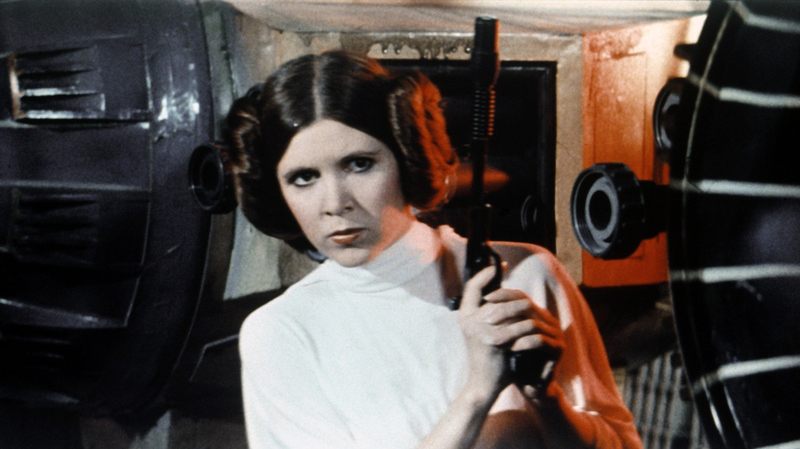 Carrie Fisher was an insecure 19-year-old when she appeared as Princess Leia in the first Star Wars movie, a role that would come to define her career. She tells Fresh Air's Terry Gross that despite becoming romantically involved with her older, married co-star, Harrison Ford, she often felt isolated on set. "I didn't have anyone to confide in," she says. "I had no friends, and I couldn't talk about [the affair with Ford] because he was married." Instead, Fisher began recording her thoughts and experiences in a journal. After the film wrapped, she put the diary away and forgot about it. Decades later, the diary resurfaced during a remodeling project. 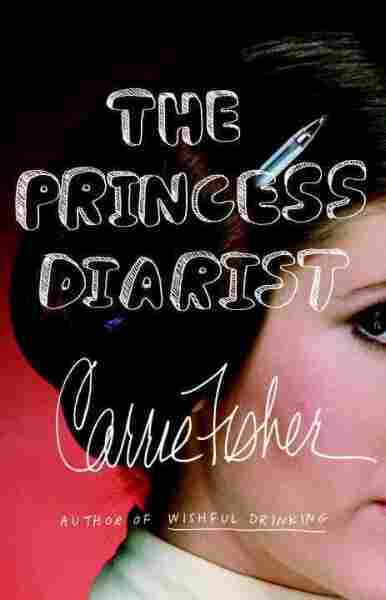 Now Fisher has turned that diary into a memoir called The Princess Diarist. The book revisits the making of the first Star Wars film and includes excerpts from the journal. The actress says she was determined to share her experiences with others, even if parts of the journal feel very personal. "I think I do overshare," Fisher says. "It's my way of trying to understand myself. ... It creates community when you talk about private things." I sent it to him ... [and] I never heard back, so I can't imagine that he was comfortable with everything that was in it. But it's not like it's negative about him — it's just a personal story that's been a secret for a long time. He's not the warmest person. He's not accessible, let's say that. He doesn't talk a lot, and I'm very extroverted. ... It was sort of one-half of a conversation was happening. ... I didn't pick him. ... I didn't even have the nerve to have a crush on him there. I thought he was out of my range, if I even thought about it. He was so much older than I was, and he was married. I think it made us more comfortable with one another. I think it made me more able to wisecrack to him, even if I was insecure. We were having an affair, so there was something to base some security on, I don't know. There was chemistry there and you can see it. So I don't know which came first, the chemistry in the film or the chemistry in the world. When we first rehearsed it, [Han (Ford) and Luke (Mark Hamill) are] brought in front of Jabba. They talk to Jabba, Jabba talks to Harrison and Mark, and then they're led off. They never say, "Hey, how are you?" So as they were being led off, I said, in the rehearsal, "Don't worry about me! I'll be fine! Seriously!" which I thought they should've kept in there. Carrie Fisher reprised her role of Princess Leia in the 2015 film Star Wars: The Force Awakens. What redeems it is I get to kill him, which was so enjoyable. ... I sawed his neck off with that chain that I killed him with. I really relished that because I hated wearing that outfit and sitting there rigid straight, and I couldn't wait to kill him. My favorite one to see is the metal bikini — on men! That is what has been happening a lot. A lot. And not thin men, by the way! So that makes me feel good about myself, kind of a before-and-after thing — this is way after. Not only is Princess Leia fatter, she's a guy! She's an immensely powerful woman, and I just admire my mother very much. She also annoys me sometimes when she's mad at the nurses, but she's an extraordinary woman. Extraordinary. There's very few women from her generation who worked like that, who just kept a career going all her life, and raised children, and had horrible relationships, and lost all her money, and got it back again. I mean, she's had an amazing life, and she's someone to admire. I had to share her and I didn't like that. When we went out, people sort of walked over me to get to her, and no, I didn't like it. And people thought — I overheard people saying, "She thinks she's so great because she's Debbie Reynolds' daughter!" And I didn't like it; it made me different from other people and I wanted to be the same. I wanted to be, you know, just no different than anybody else.